Ciao lovelies! I'm back! Today we're going to learn how to make a doll beanie hat and a infinity scarf! First let me start by apologizing for disappearing again, I've been having trouble with both my physical and mental health. As of right now, I have what I think is a respiratory infection, so that's fun. 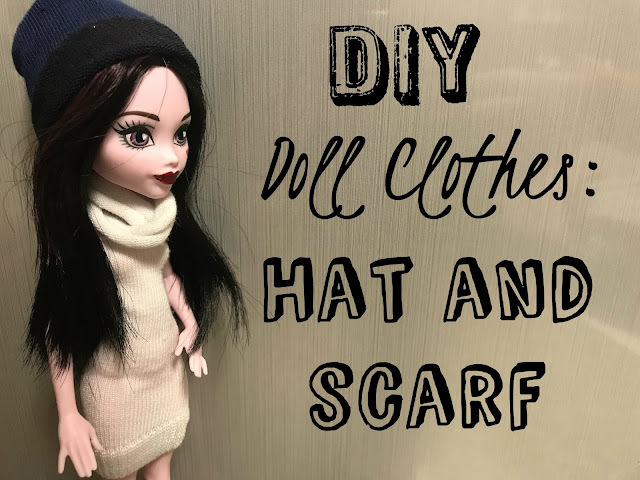 But enough complaining, I'm back now and ready to share a fun tutorial with you all! 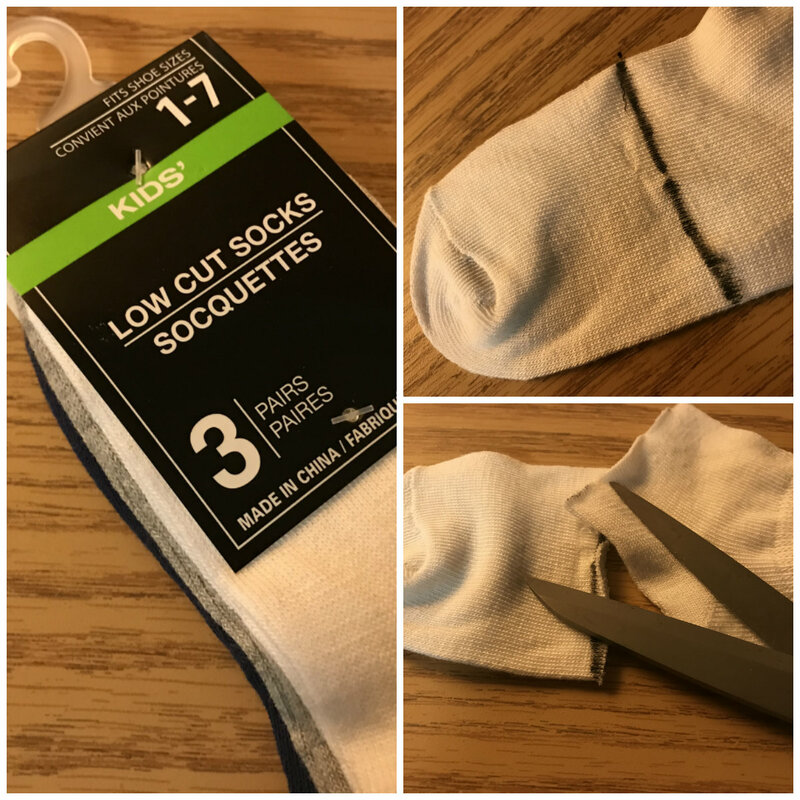 All you will need for these items is a set of baby socks from Dollar Tree (use the ones that say 1-7), and scissors. 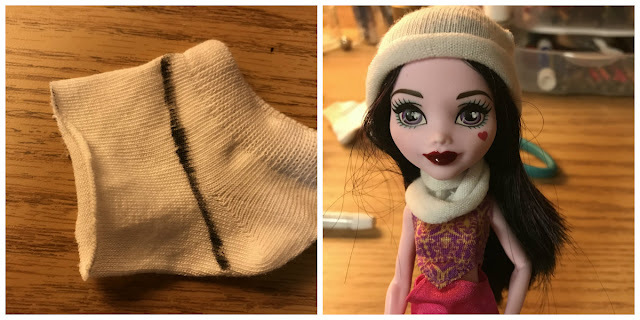 To make the beanie, simply cut the toe off the sock, and put on your doll's head. Roll up the edges (and you can sew them down if you wish). And that's it! Cut the remains of the sock off so you have a loop. 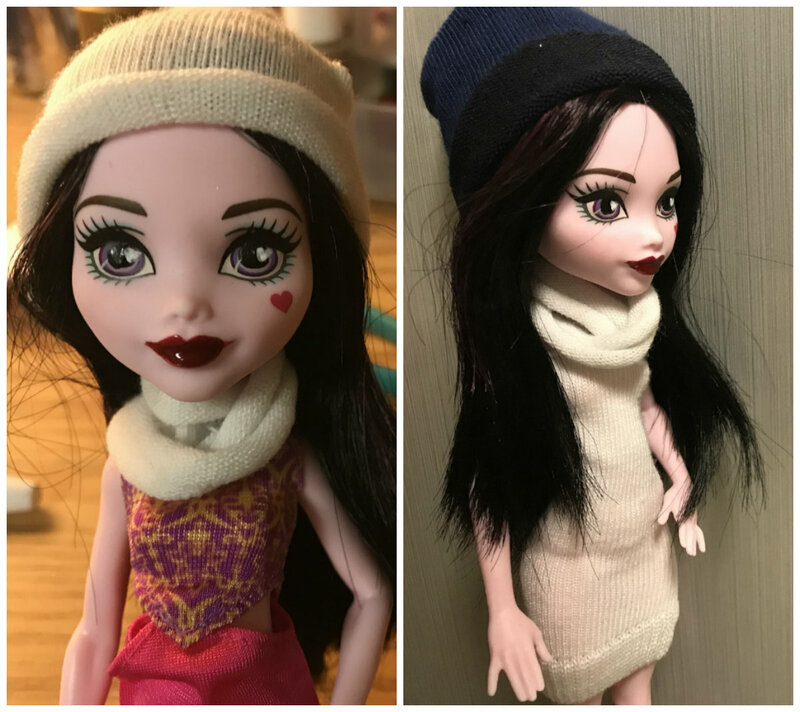 Stretch it until it is wide, and wrap it around the dolls neck twice. And you're done! We hope you enjoyed this tutorial! If you did, you may also like this Doll Sushi tutorial, and this doll Chair tutorial!